How you deal with your child is one of the most important factors in determining how your child will come out of a particular learning issue or problems. Learning difficulties are seeming to rise in children under the age of five and six. As a result, they are not able to cope up unlike other students. This creates pressure not only among the parents and school teachers but also the small children who have got stuck with these learning problems. Brain is the major organ responsible for reading, learning and perceiving the things in the correct manner. Researchers are still finding out the exact reason of such disorders. 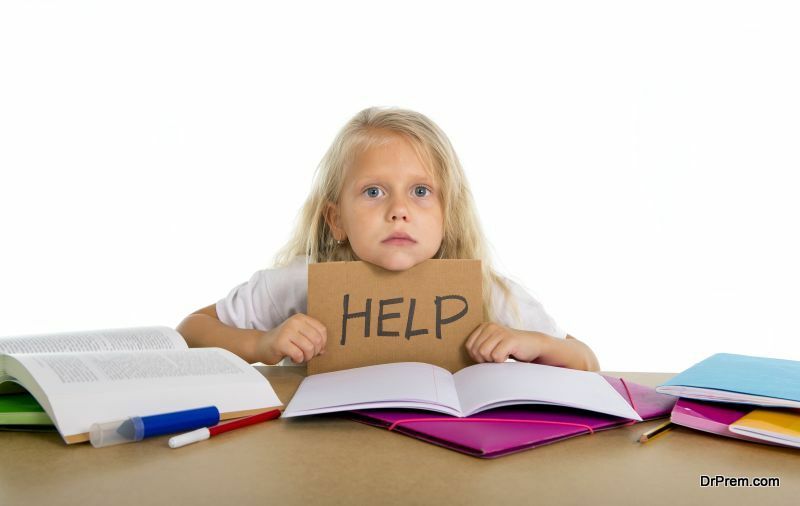 Dyslexia is a condition in which the child has reading problems ranging from wrong pronunciation, reading the words incorrectly, wrong spellings, not being able to recollect the previous stories or chapters and not understanding the readouts properly. This condition is related to reading difficulty. Some children have listening issues. They do not have any hearing problems but have difficulty in processing what they have heard. In this, some won’t be able to understand what they have heard, some may not get at first so often asks to repeat, and some may have difficulties in solving mental maths. The case varies from child to child. It is therefore of utmost importance to first find out and understand particular issues in children. Dealing with such children is very important and essential in order to help them come out of these problems. There are various ways in which this can be done but the major one is speaking with the respective teacher. Talking to the teacher helps parents to best understand their child’s learning problems. Also, taking help of teachers is essential in solving the learning and reading issues faced by children. However, care must be taken that no other students make fun of the child suffering from the disorder. Talking with the child and listening him patiently. Making him read good book in front of you. Not shouting at him/her or not scolding him/her when he makes mistakes. Taking help of speech therapist and thus giving a speech therapy to your child. Using some kind of audio books. Not distracting the child when he tries to do the same. Stick posters or charts in every corner of the room so that the child can see it and as a result read it on his own. Letting the time to go as all these things take a little time. There is no sense in hurrying up as the child may lose confidence. Most important thing for parents is to encourage their child and always motivating them in whatever activity they do. There are some experts in child psychology and there is no harm in taking their advice as it will only add to the progress of the child. Slowly and steadily with the input of needed efforts definitely the output is going to be a good one. Trusting the child is very important in all these steps. Children who have problem in understanding things will slowly develop an interest and automatically will come out of the learning issues or difficulties. At the end co-operative work is the only way which needs to be followed.